We’re only a day away our spectacular thirteenth All Hands Meeting, AHM 13! 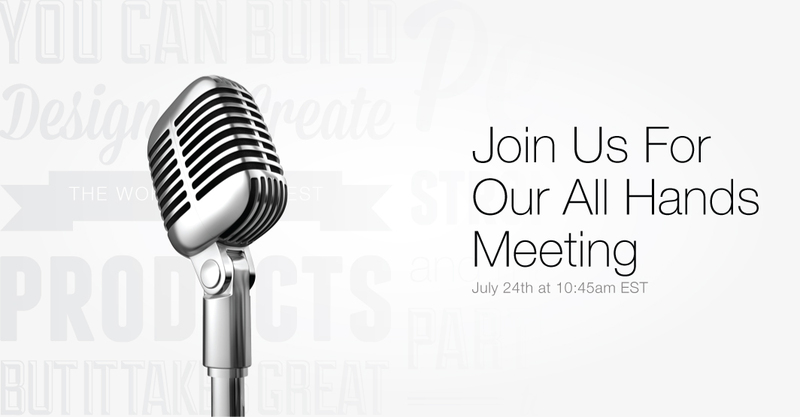 Join us on July 24, at 10:45am (EST) as we look back on the exciting first half of 2014 and make big announcements about our second half, including a special funeral for our Human Resources Department! You don’t want to miss this action-packed event that everyone is talking about! We’d love to see your smiling face in the audience but if you can’t make it in-person, you’re welcome to enjoy AHM 13, live online for free! This edition is going to be bigger and more exciting than ever, don’t miss out on AHM 13! To learn more about Roma’s All Hands Meetings, click here. All Hands Meeting 13 – Trailer from Roma Moulding on Vimeo.